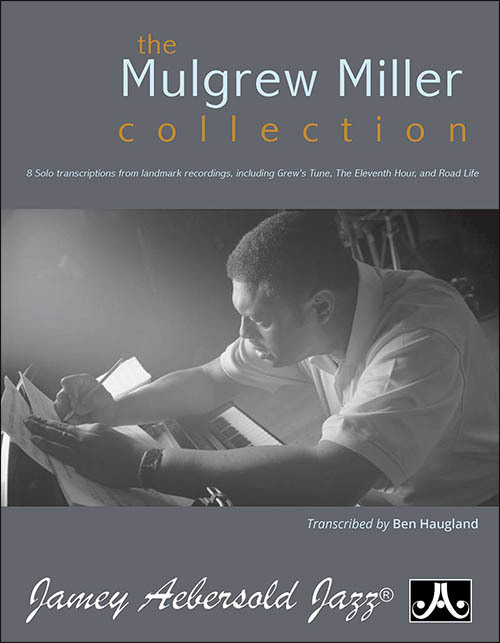 This incredible DVD features over 20 of the legendary giants and unsung greats of jazz percussion in solos, in “battle” and in the groups they helped make famous. 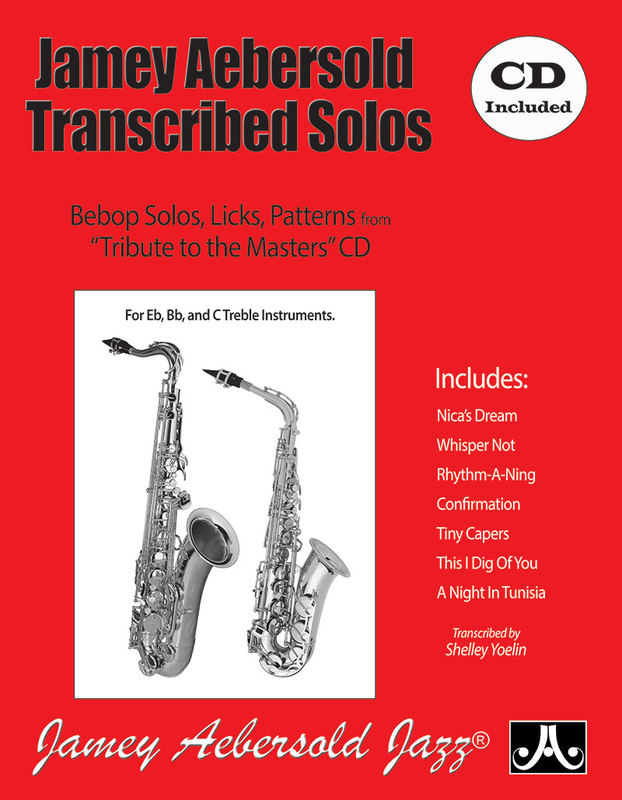 Highlights include films of the legendary Sid Catlett with Louis Armstrong, Ray Bauduc with Jack Teagarden, Gene Krupa and Buddy Rich with their own orchestras, Gus Johnson with the rarely-heard Count Basie small group, Joe Harris with the pioneering Dizzy Gillespie Orchestra, Panama Francis with Cab Calloway, Lionel Hampton's Band, never-before-seen solo footage of Philly Joe Jones, singular small-group examples of Stan Levey and the groundbreaking bop of Kenny Clarke and many others. Running time: 70 minutes. 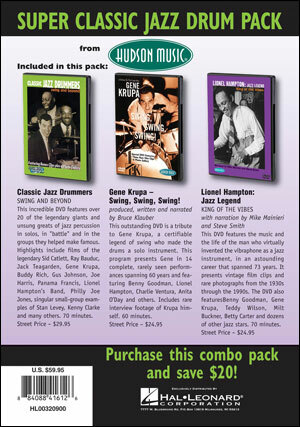 This outstanding DVD is a tribute to Gene Krupa, a certifiable legend of swing who made the drums a solo instrument. 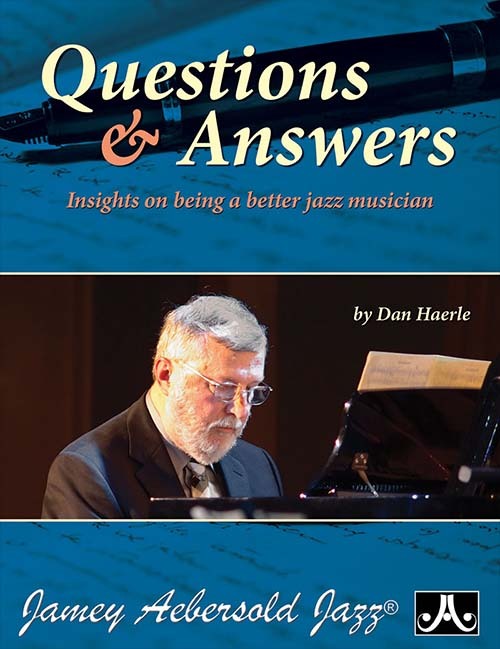 This program presents Gene in 14 complete, rarely seen performances spanning 60 years and featuring Benny Goodman, Lionel Hampton, Charlie Ventura, Anita O'Day and others. Includes rare interview footage of Krupa himself. Running time: 60 minutes. Lionel Hampton: Jazz Legend This DVD features the music and the life of the man who virtually invented the vibraphone as a jazz instrument, in an astounding career that spanned 73 years. 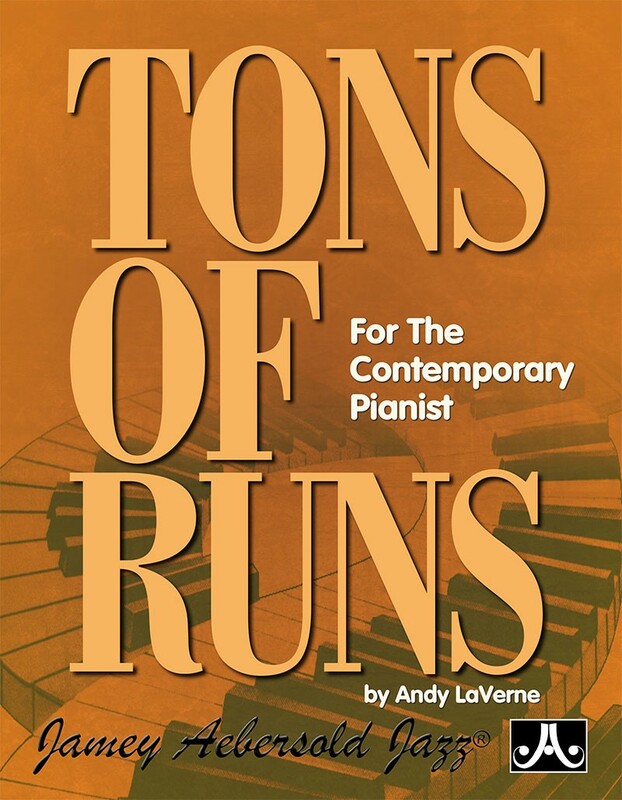 It presents vintage film clips and rare photographs from the 1930s through the 1990s, combined with incisive commentary from contemporary mallet master Mike Mainieri; and award-winning percussionist Steve Smith. 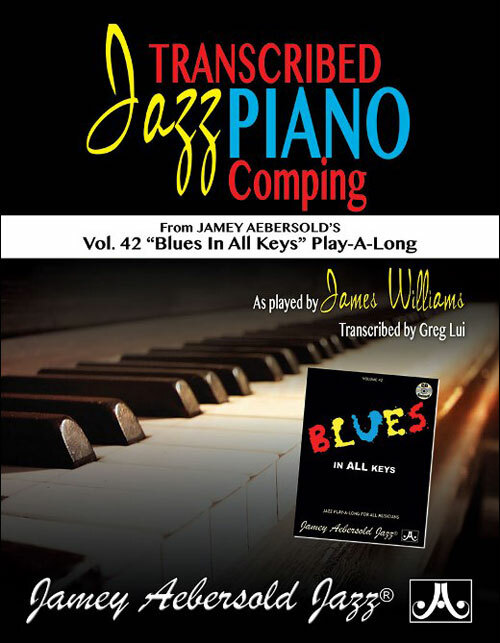 Joining Lionel Hampton throughout this singular musical journey are a number of other jazz legends, including Benny Goodman, Gene Krupa, Teddy Wilson, Milt Buckner, Betty Carter and dozens of other jazz stars. Running time: 70 minutes.